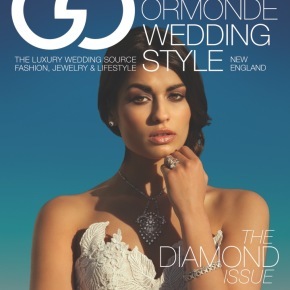 This summer we had the honor of participating in a special editiorial shoot for the 2013 issue of Grace Ormonde’s Wedding Style New England. 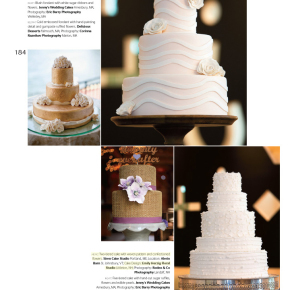 The day of shooting took place at the lovey Hidden Pond Resort in Kennebunkport, Maine, where a myriad of wedding industry professionals were brought together to showcase some of the best wedding design New England has to offer! 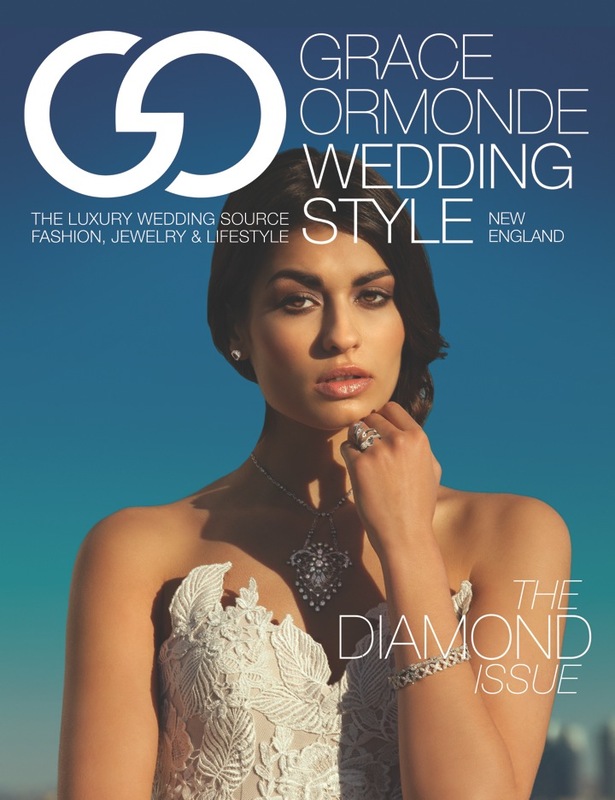 Grace Ormond Wedding Style is a widely respected authority on luxury wedding style. 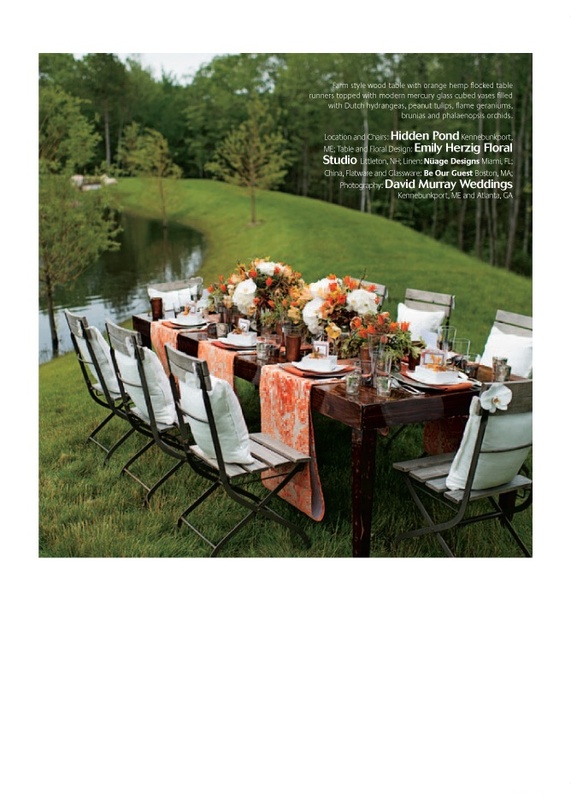 So when we say we were honored to be included, we aren’t kidding! As if this weren’t a reward in itself, the whole day was a ton of fun. From collaborating with seriously smart and creative wedding industry professionals, to muching on delicious food at the swank after-party, it was an experience we will not soon forget. 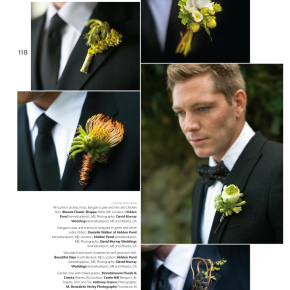 The table top and boutonniere were both shot on location at Hidden Pond by David Murray of David Murray Weddings. 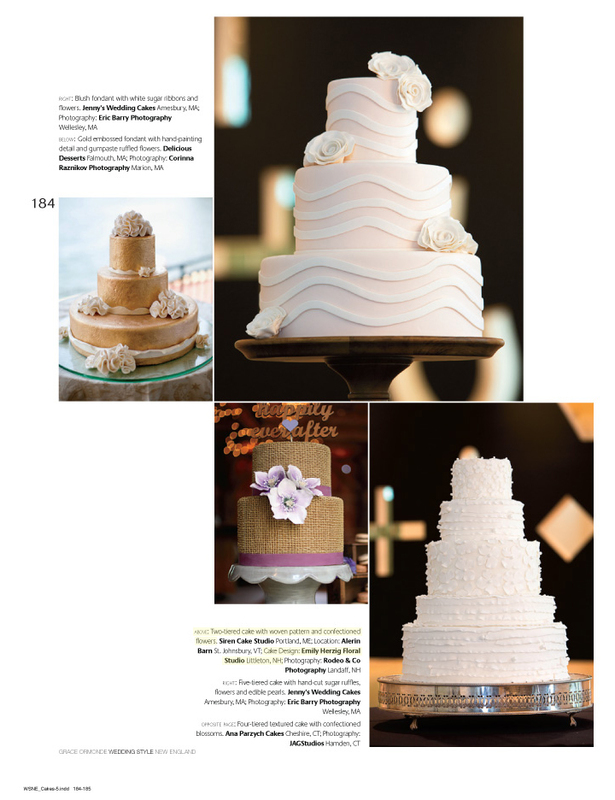 The burlap-style cake was a collaboration with Eva Salomon of Siren Cake Studio, and was photographed at the Alerin Barn by Meg Hamilton of Rodeo and Co.
EH Floral is a Platinum Vendor for GOWS; additional samples of our work are shown here. 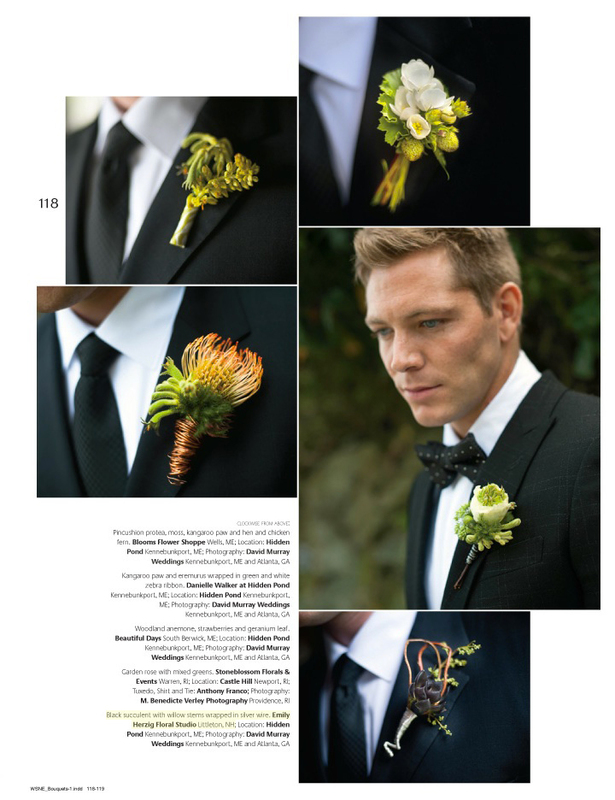 Our work was also included in a print feature while working with the Kate Parker team back 2006 for editorial shoots at the Wheatleigh Hotel and Mountain View Grand. 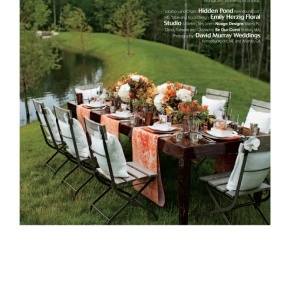 The 2013 issue of Grace Ormonde’s Wedding Style New England is available on stands now, or order a copy online here.